Toe-tapping counting fun with Pete, who still looks groovy if his buttons drop off. 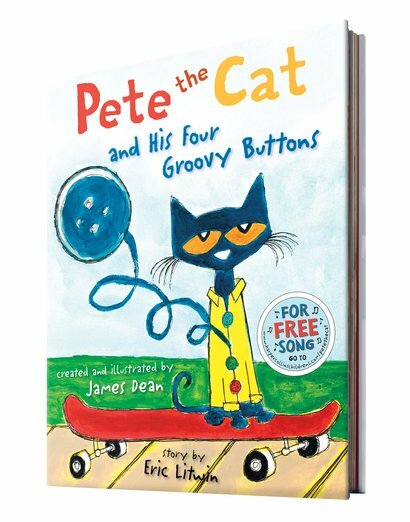 Pete the Cat is wearing his favourite shirt. The one with four bright buttons on the front. But when one falls off and rolls away, does Pete cry? No way! Buttons come and buttons go. He just keeps singing his song. After all, what could be cooler than three groovy buttons? Count down and groove on down as Pete rocks his rhyming song. He’s simply the coolest cat in town. Nobody can take that away.